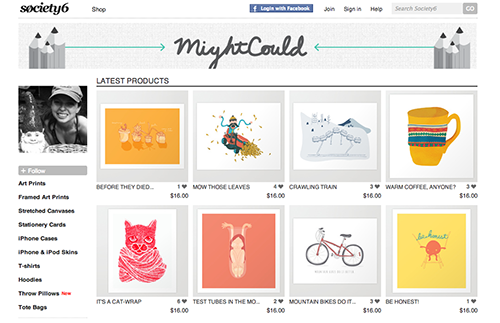 Might Could Studios now has a shop! Click the image above, or use the navigation item called “shop” to check it out! I have 8 pieces up right now that can be purchased as prints, cards, iphone cases, and pillows! I will be updating the shop regularly, so be sure to check back often. Thanks!